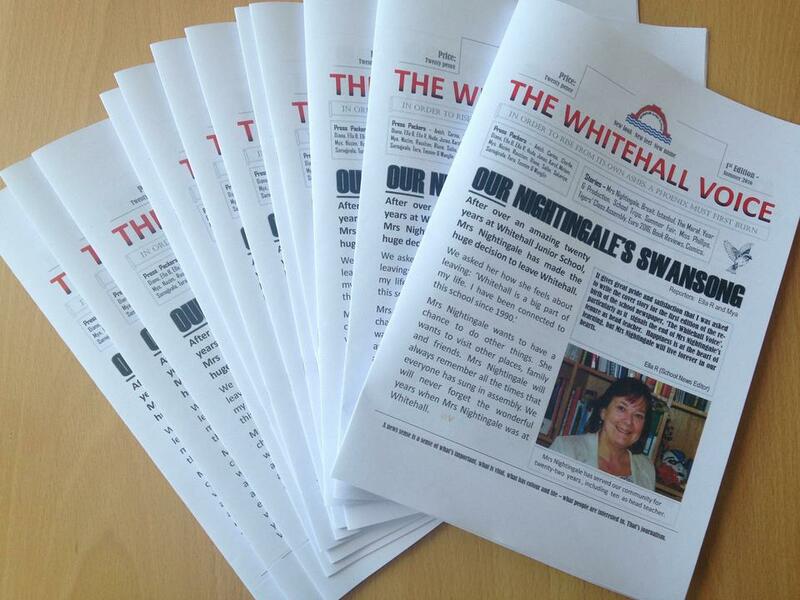 After much anticipation, The Whitehall Voice shifted 74 copies of their 'Nightingale issue'. It went down incredibly well and the ambition is to sell even more copies, next time round. Mrs Nightingale was incredibly proud to be our first cover story! Mr Nathan wishes to thank all the children who helped with the pilot edition, and looks forward to receiving job applications and CVs when deciding his permanent staff for the academic year, 2016-17. Onwards and upwards!